Do you worry you won’t get pregnant, stay pregnant, or have a healthy baby? Infertility rates are on the rise. Women are waiting until later in life to start a family. 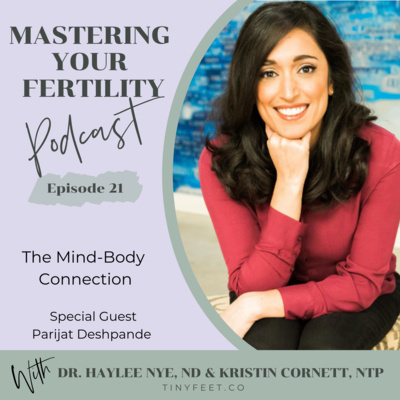 It is more important than ever to start understanding exactly how to take control of your fertility. Your hosts are Dr. Haylee Nye, a licensed naturopathic physician, and Kristin Cornett NTP, a certified nutritionist. We dive deep into what truly causes disease, infertility, complications in pregnancy, and what can ultimate lead to a chronically ill child. In episode 24, we interview naturopathic doctor, women's health expert, and author of Period Repair Manual, Dr. Lara Briden. We discuss polycystic ovarian syndrome (PCOS), which is a highly misunderstood condition affecting about 10% of women and contributing to 20-30% of infertility cases. Dr. Briden covers why PCOS is so frequently misdiagnosed, how it SHOULD be diagnosed, and the 4 different sub-types of the condition (all of which require different healing approaches). 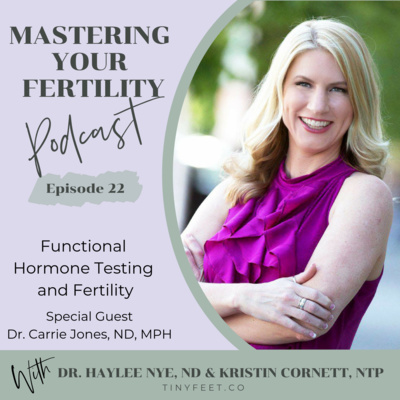 We also talk about why conventional treatments for PCOS are so often ineffective and dive into the specific naturopathic and nutritional therapies that can help women restore their health and fertility. 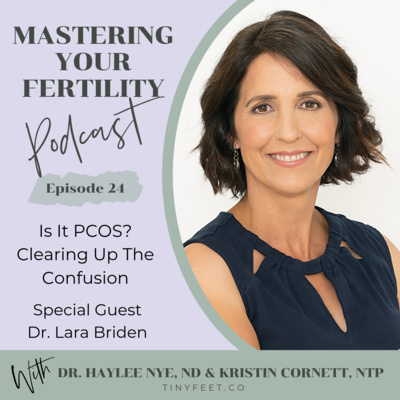 Whether you've been diagnosed with PCOS, you suspect you may have it, or you're questioning the diagnosis you've received, this episode is for you! You can view the show notes for the episode and find links to Dr. Briden's website and book here. Take the FREE quiz: What's Your PCOS Subtype? In episode 23, we interview naturopathic doctor, women's health expert, and bestselling author of Beyond the Pill, Dr. Jolene Brighten. 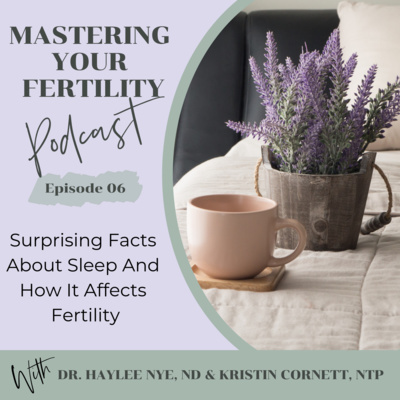 She talks about the many side effects that hormonal birth control can cause in a woman's body, how this can impact long-term health and fertility, and what women can do to balance their hormones, recover their health, and conceive successfully after birth control. Dr. Brighten unpacks a lot of the myths surrounding hormonal contraception and validates the experiences of women everywhere who have had their symptoms and concerns dismissed by their healthcare professionals. 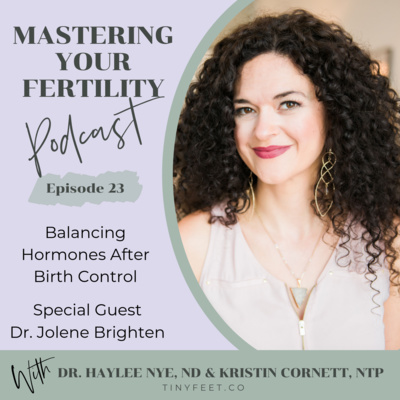 Combining the latest scientific research with her vast clinical experience helping women heal from post birth control syndrome, Dr. Brighten shares invaluable information to empower you on your health and fertility journey. You can find links to Dr. Brighten's website, book, and free Post Birth Control Detox Diet Guide here. Take the FREE quiz: Are You Healthy Enough to Get Pregnant? 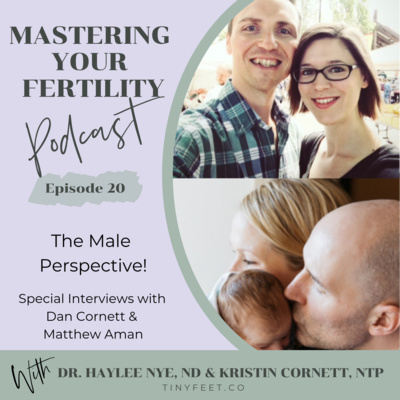 In episode 19, we talk in-depth about male fertility. 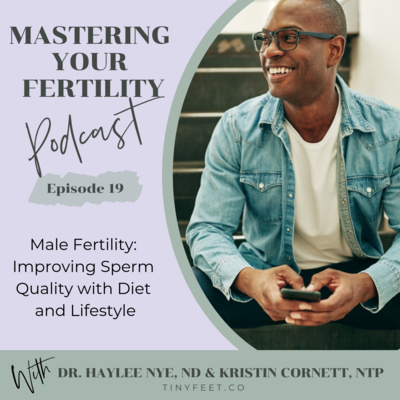 We discuss the different lab tests that can evaluate sperm quality and hormone balance, the specific medical conditions and lifestyle habits that can contribute to reduced fertility, and actionable recommendations to help men improve their sperm quality, fertility potential, and overall health. 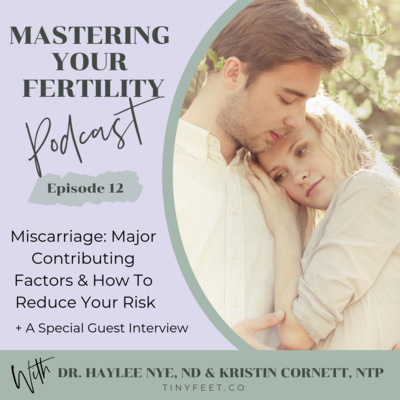 This episode is brought to you by our Tiny Feet Fertility Assessment, which provides individualized recommendations and step-by-step action items for addressing fertility risk factors in BOTH partners. This is the perfect tool to help couples prepare optimally for pregnancy and increase their chances of a successful conception and a healthy baby. Learn more and get signed up here! 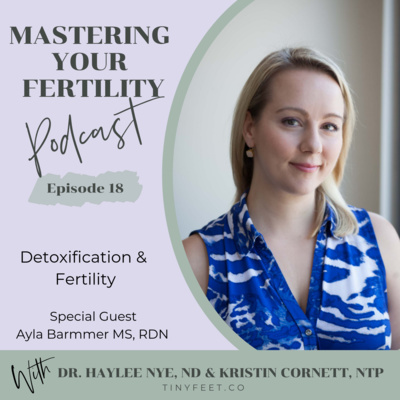 In episode 18, we interview registered dietitian and women's health expert, Ayla Barmmer MS, RD, LDN about the important role of detoxification in health and fertility. There are A LOT of misconceptions about detoxification and Ayla's going to help clear those up for you today! You'll learn what detoxification, why it's so important for overall health and the ability to conceive, and what circumstances may increase your need for detoxification support. 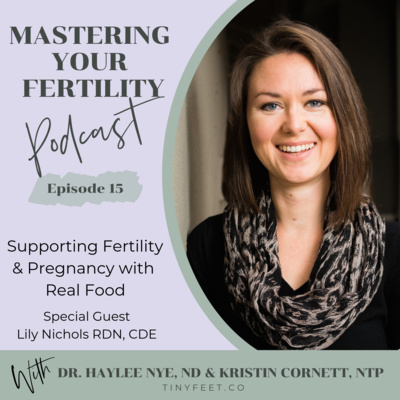 Ayla also shares actionable recommendations for SAFELY and EFFECTIVELY supporting your detox pathways and, ultimately, improving your fertility. You can learn more about Ayla on her website at https://bostonfunctionalnutrition.com/ and be sure to follow along with her on Instagram @aylabarmmer! FREE webinar: 5 Proven Ways to Get Pregnant Faster & Have a Healthier Baby - Register Now! #16 Are You Healthy Enough to Get Pregnant? 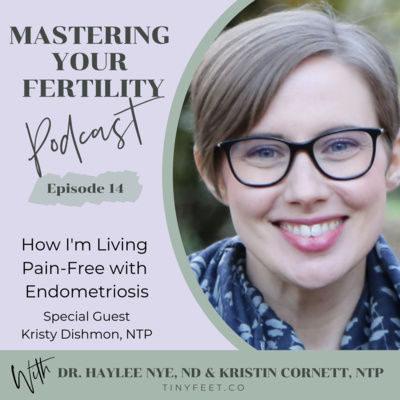 In this episode, we dive into the complex topic of endometriosis and infertility. If you have endometriosis, you probably already know that there's no cure and that the conventional treatment options are limited. But you might not have heard about the MANY natural therapies available that can help you recover your health, reduce your pain, and increase your fertility! 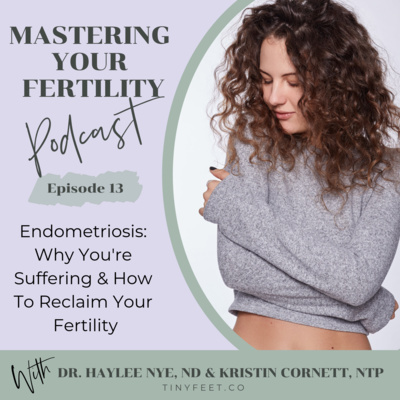 Dr. Haylee and Kristin share the most up-to-date research on what contributes to the development and spread of endometriosis, how the condition is diagnosed, how it can lead to infertility, and what you can do to start getting your life back and increasing your chances of a successful pregnancy. We also have a special FREE download that provides you with a quick-reference guide for the interventions we discuss in the episode. Download your checklist for 7 Ways to Reduce Pain & Increase Fertility with Endometriosis now! 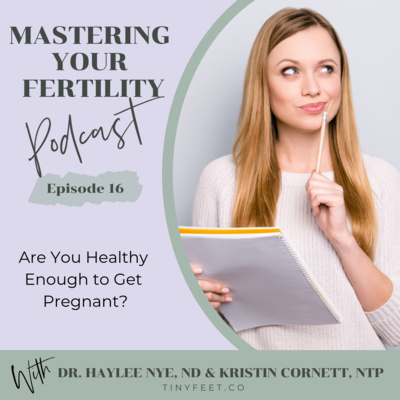 Dr. Haylee and Kristin continue the discussion about gut issues and fertility. While the last two episodes focused on Dr. Haylee’s and Kristin’s personal gut experiences, this episode takes a deeper dive into gut function. 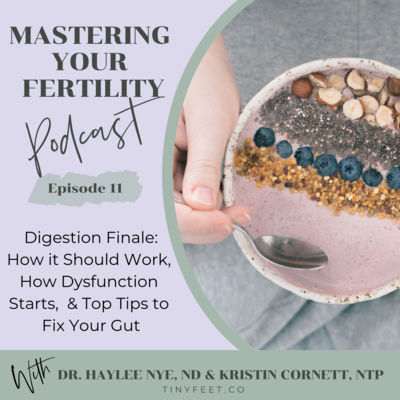 In this episode we cover how digestion shouldwork, the most common problems with digestion, what causes them, and how these issues ultimately impact fertility. We also discuss adjustments you can make to your diet and lifestyle to improve digestion, in addition to how to find a qualified practitioner to help you investigate your gut function further. This episode is brought to you by our FREE online course on "How to Choose the Best Prenatal Supplements." 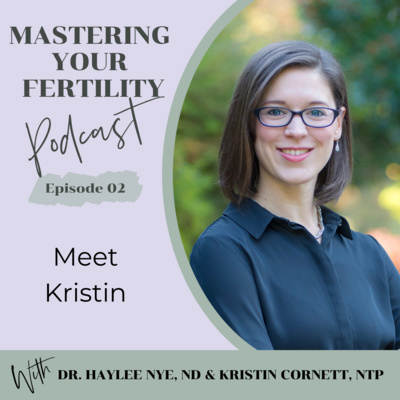 Kristin shares her experience with complicated gut issues and the long, winding path she's taken to find relief from her symptoms and restore her fertility. She discusses the FIVE treatments she's been through for SIBO, her eventual discovery of multiple parasite infections, her recent diagnosis with an autoimmune condition, and the current dietary protocol she's following to keep her health on track. 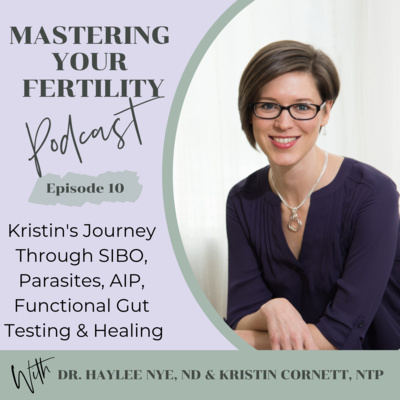 We also do a deep dive into how gut dysfunction affects fertility, the specific functional tests we recommend to investigate digestive issues, the necessary components of a gut healing protocol, and why personalization is the key to success when treating the gut. This episode is brought to you by our FREE online course on "How to Choose the Best Prenatal Supplements". 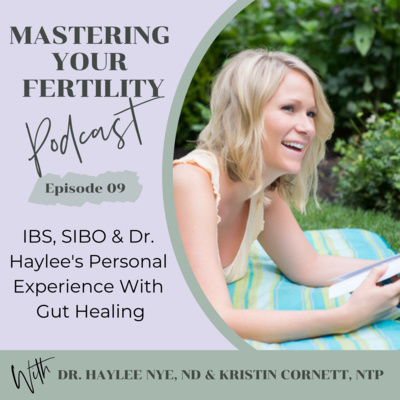 Dr. Haylee share's her personal journey with irritable bowel syndrome (IBS), small intestine bacterial overgrowth (SIBO), and her recent experience with using the elemental diet to heal her gut. In this episode, you’ll learn what IBS and SIBO actually are, how they’re diagnosed, the symptoms they typically cause, and the possible treatment options to address them. Dr. Haylee also talks about the multiple treatments she’s been through for IBS/SIBO and some of the missteps she’s had along the way. If you’re having problems with your digestion, you’ll definitely want to tune in! Gut health is a critically important part of optimizing both overall health and fertility, but it’s almost completely ignored in conventional fertility medicine. 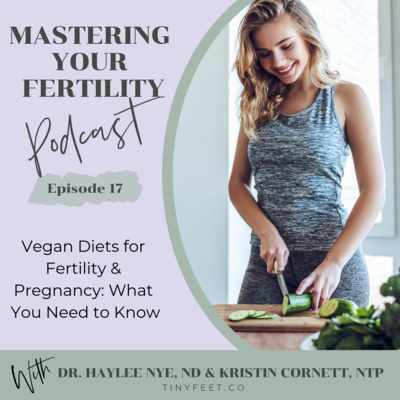 We’re going to help shed some light on why you should spend time investigating your gut during preconception and how you can get started. 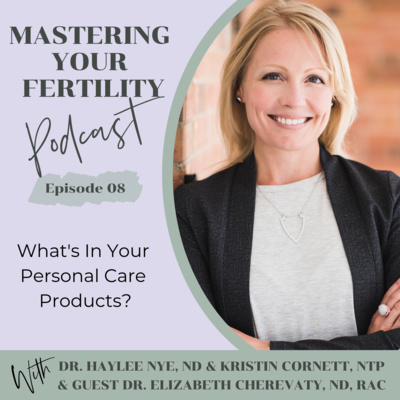 This episode is brought to you by our free course on "How To Choose The Best Prenatal Supplements"
With Dr. Liz, we explore the 3 P's: Paragons, Phthalates & Perfumes - ingredients in personal care products that can negatively affect your fertility. We give you great resources on how to find out if what you are using in your bathroom is actually harming you and how to find clean alternatives. Dr. Elizabeth Cherevaty ND, RAc is a Naturopathic Doctor & Registered Acupuncturist with nearly a decade of clinical experience. She founded Two Rivers Health in Ontario, Canada and focuses her practice on preconception, pregnancy, postpartum & pediatric care. She has a background in toxicology and passion for understanding how personal care products can affect one's fertility and the health of baby. You can find her at https://www.tworivershealth.ca or https://www.facebook.com/elizabeth.cherevaty This episode is brought to you by our free online course on "How To Choose The Best Prenatal Vitamins"
Are you wondering exactly what nutrients are the most important to take when preparing for pregnancy? You will be surprised, it's not what you think! 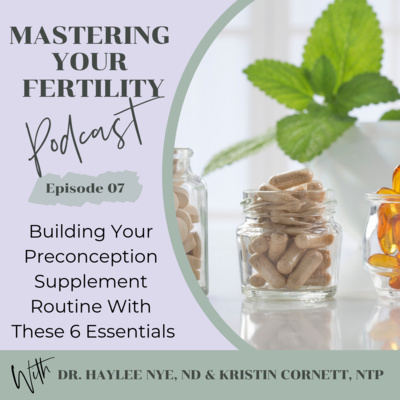 Dr. Haylee and Kristin break down the 6 essential supplements that research shows will improve your chance of conceiving and having a healthy pregnancy! We give you exactly why you need these nutrients, the form and amount you need to look for when choosing a supplement, and what you absolutely need to avoid. 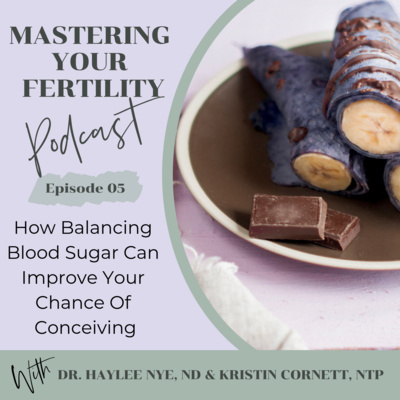 This episode is sponsored by our FREE course "How To Choose The Best Prenatal Supplements"
Learn blood sugar works in the body, influences hormone balance, egg quality, and your baby's health, and how to find your individual "sweet spot" for carbohydrates. 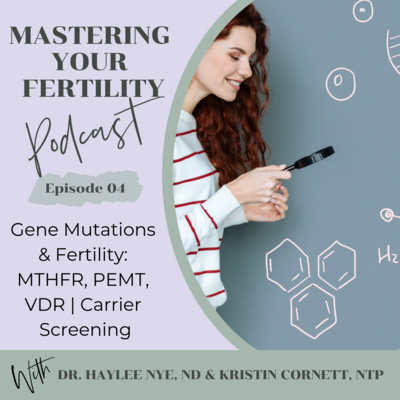 Dr. Haylee and Kristin discuss how certain single nucleotide polymorphisms (SNPs) in our DNA can affect how well we can utilize specific nutrients, such as choline, folate and vitamin D, in our body. The top three SNPs discussed are MTHFR, PEMT, and VDR due to their significant impact on fertility and long term health of baby. 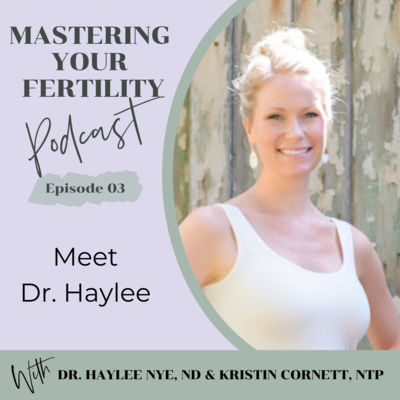 Dr. Haylee she tells us about her background, her health obstacles including her scare with losing her ability to conceive at a young age, and her journey to finding naturopathic medicine. During medical school, she found a passion for preconception care and fertility. After her residency, she launched the online fertility platform, Tiny Feet, with her husband and Kristin. In today's episode, Kristin introduces herself and tells her story of how she struggled with her health and found healing with nutrition. From financial analyst to a certified nutritionist, Kristin now helps other couples find their best health to realize their dream of having a healthy baby. 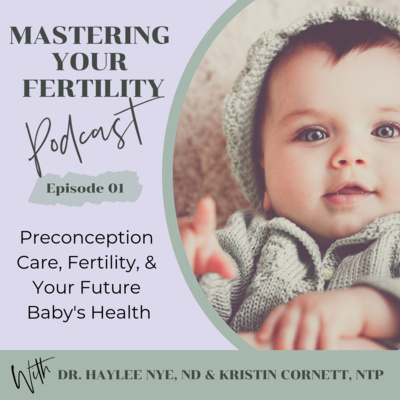 In this inaugural episode, Dr. Haylee & Kristin explain what preconception care is, why it's important, and how it can affect the long-term health your future baby. They introduce the Tiny Feet Fertility Assessment, an online fertility planning platform for couples wanting to conceive and have a healthy baby.